When ascending one of the numerous Chocolate Hills on a clear day, opens a unique view – the plain up to the horizon is filled with countless symmetrical hills – all of them similar, with roughly the same height and form. This sight becomes even more unusual in the dry period of the year when al the mysterious hills turn brown. This unusual landscape had to be explained – and locals created several legends about the origin of these hills. Some tell about a fight of giants who hurled piles of ground at each other and then left the battlefield without cleaning up the mess. Others tell about dried tears of an unlucky lover – a giant named Arogo. Present day name of the hills is a recent invention, given by foreign scientist. German geologist Frithjof Voss saw these amazing hills in 1968 and these mysterious (then) formations fascinated him. In his scientific publication from 1970 appeared a nickname “Chocolate Hills” and after some while tourism industry took it up. Voss studied the hills with a help of aerial photographs and these studies channeled his career into the realm of aerial imaging and remote sensing – later he became a key expert in this area worldwide. Voss named the hills after their resemblance to a gastronomic treat – chocolate kisses just like the ones produced by “Hershey’s”. Before this some scientists have given other names, e.g. Smith (1924) named them Haycock Hills. But we could agree – Chocolate Hills sounds just nice and tasty! 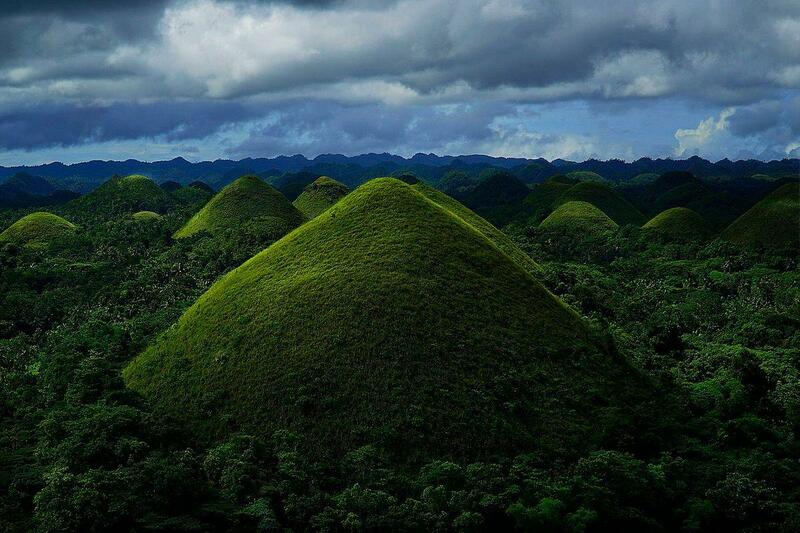 Chocolate Hills belong to the best examples of cone karst on our planet. But… what is hidden behind the term “cone karst”? Sooner or later water can dissolve nearly every rock which exists on Earth. 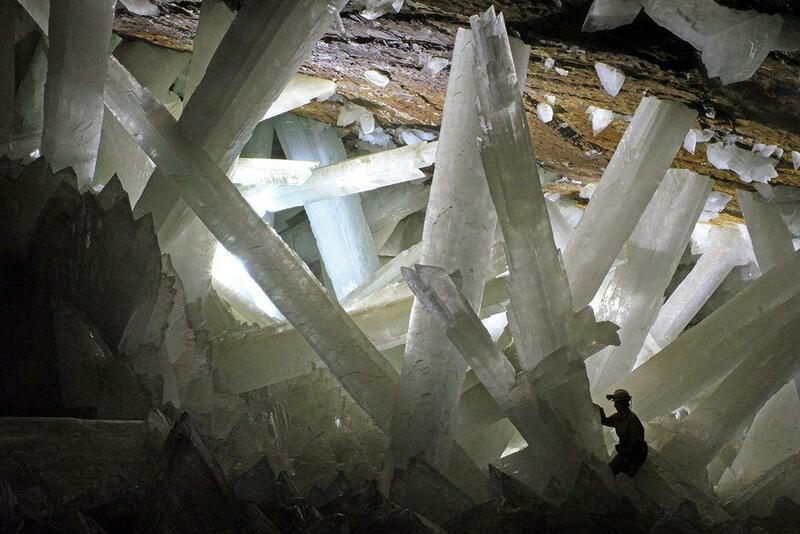 But some dissolve faster: salt and gypsum rocks may dissolve in a few decades – centuries after their formation but limestone or dolostone is dissolved over thousands of years, in meantime forming amazing geological formations. Just like a melting heap of snow, limestone may form weird looking, steep residual towers, there form channels, caves, streams disappear in holes and reappear somewhere else. All this interesting realm of geological processes in soluble rocks is named: karst. If the temperature is higher and there is more water – karst processes are more intense. Thus, in tropical regions, where rainfall is huge and the average temperature exceeds 18 °C, limestone dissolves much faster than in dry or cold regions. 1. In the beginning form cockpit karst. At this stage, the limestone layer is dissected by numerous caves and trenches. Caves become large and collapse, trenches are widening. As a result, the limestone massif is dissected by a network of deep valleys with limestone ridges in between. Impressive cockpit karst has developed in Jamaica, Cockpit Country – hence the name. Limestone soils are fertile – thus the hills and ridges most frequently are covered with lush forest. Of course, this landscape is very hard to penetrate – in most cases, virgin rainforest still thrives on cockpit karst. 2. Then comes cone karst. As the erosion of the limestone continues, the limestone ridges are divided into separate cone-shaped hills. The larger (wider and longer) the limestone body, the more hills. 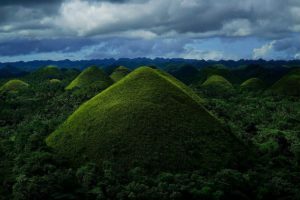 Yes, and Chocolate Hills could be the most impressive cone karst landscape in the world. 3. Finally comes tower karst. As the karst erosion continues and the sides of the hills become steeper and steeper, at the end remain just a limestone tower. Or – many towers. One of the most impressive tower karst landscapes is Guilin – Lijiang Karst in China where these towers are hundreds of meters tall. As the years go by, the towers fall, dissolve and… limestone is gone. Chocolate Hills consist of hundreds of meters thick Late Pliocene – Early Pleistocene limestone, which has formed on the seabed, above a layer of serpentine. Most of it is formed by corals. Soon after the formation this limestone was raised above the sea level and fractured. 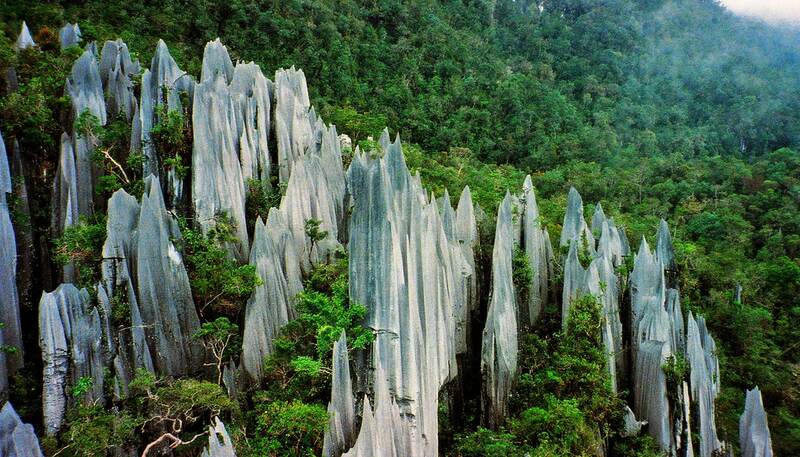 Rainwater, streams, groundwater dissolved the limestone, gradually forming the present landscape of cone karst. The repetitive, symmetric form of the numerous hills is explained by the fact that the whole limestone massif raised above the sea level at one time and erosion processes were similar all over its area. Thus the limestone was dissected by fissures, streams, and caves at similar distances and all the hills are shaped by the same natural forces. Climatic conditions, most likely, have been the same for a long time and even the distribution of wind direction is more or less evenly throughout the year. The limestone of Chocolate Hills is rather fragile, sandy. It is rich with fossils – corals, mollusks, and others. Hills and the whole area contain numerous caves and karst springs. On Bohol are known more than 1,400 caves, but few have investigated them and, most likely, this figure is a lot higher. 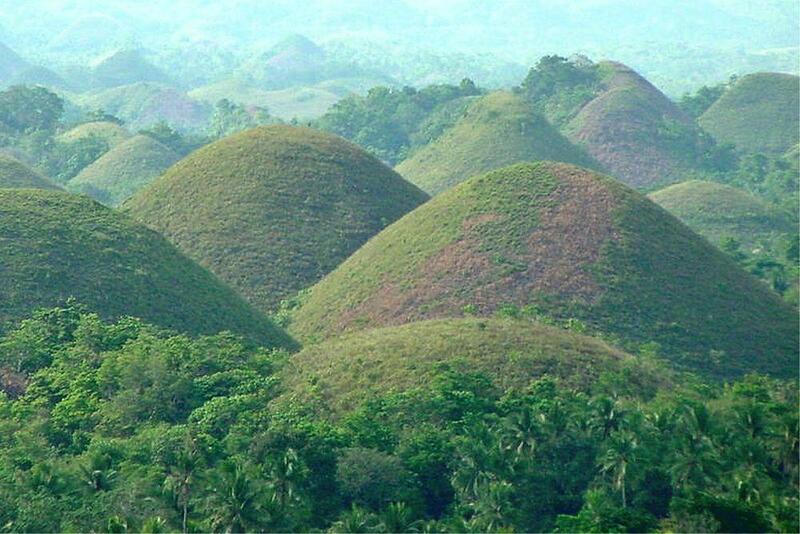 Chocolate Hills are scattered over a large area of Bohol Island. The number of hills is subjective – each can count them as he likes. Some have counted 1 260 hills, some – more than 1 700. In fact, it is not easy to tell where Chocolate Hills end and start other forms of karst landscape – e.g. cockpit karst, which also is widespread on the island. The height of the hills fluctuates from some 40 m to 120 m and diameter from 65 to 80 m.
What makes Chocolate Hills unique? Cone karst is not unique to Bohol. Similar formations are found in many other tropical countries – several provinces of China, Jamaica, Cuba, Indonesia (Gunung Kidul area with more than 10 000 hills), the Dominican Republic, and others. Also on the nearby island of Negros, near San Carlos town can be seen similar hills. But some aspects make the landscape of Chocolate Hills truly unique in the world. The main is: these hills have more or less perfect conical form and are almost symmetrical. Their slopes are not too steep and cliffs are not exposed – slopes are covered with a uniform cover of grass. Hills always are round or oval, they never have notches or extensions. Even one such hill is unusual. But if there are hundreds, more than thousand of them? Landscape consisting of such “copy-paste” elements is unique. An additional effect is created by the grass which turns brown during the dry season, which usually lasts from February to April. This unusual brown color gave the name to the whole landscape. Grass on the hills has several species, such as Imperata cylindrica and Saccharum spontaneum, here grow also some species of ferns and other plants. Originally Bohol was covered with dense rainforest, although Chocolate Hills, most likely had too weak soil to sustain forest on the steep slopes of the hills. After centuries-long slash-and-burn agriculture most of the rainforest is gone and now the plain between the hills is cultivated – here is grown rice and other crops. Only some 3% of the former virgin forest remain on the island. Since the 1980ies when the Philippines and also Bohol Island opened to international tourism, Chocolate Hills became a major tourist attraction. The value of Chocolate Hills was recognized by the government and in 1988 there was created The Chocolate Hills Natural Monument, now – “Chocolate Hills” National Geologic Monument. This was not an easy step – the nature conservation efforts led to a civil unrest among local farmers, leading to at least two clashes between local guerillas and government forces. The limestone of the hills is an important construction material – some hills were just removed by mining. Although the government has strictly forbidden such mining since 2006, locals often continue this activity. The increasing number of tourists also does not come without challenges: local tourism industry and authorities thus far are struggling with proper organization of tourism services. 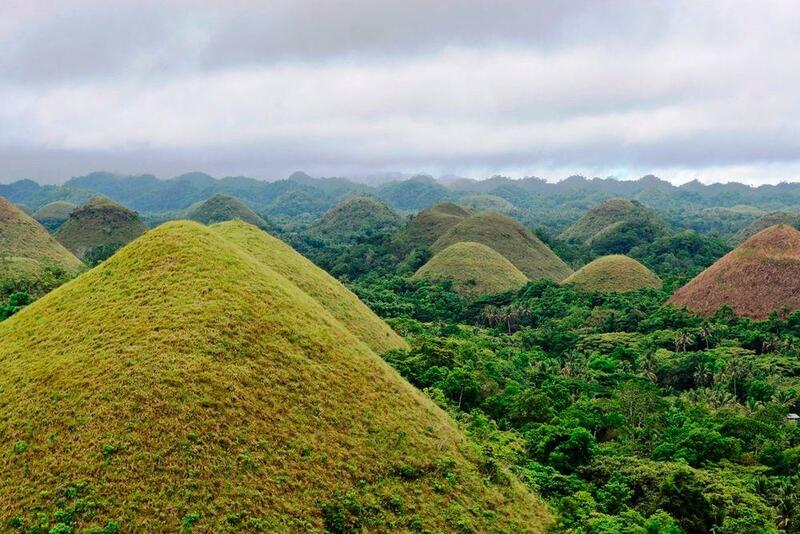 Nevertheless, Chocolate Hills now is the most recognizable natural landmark of Bohol Island and to some extent – all the Philippines and step by step people in Bohol start to earn the benefits of tourism income. 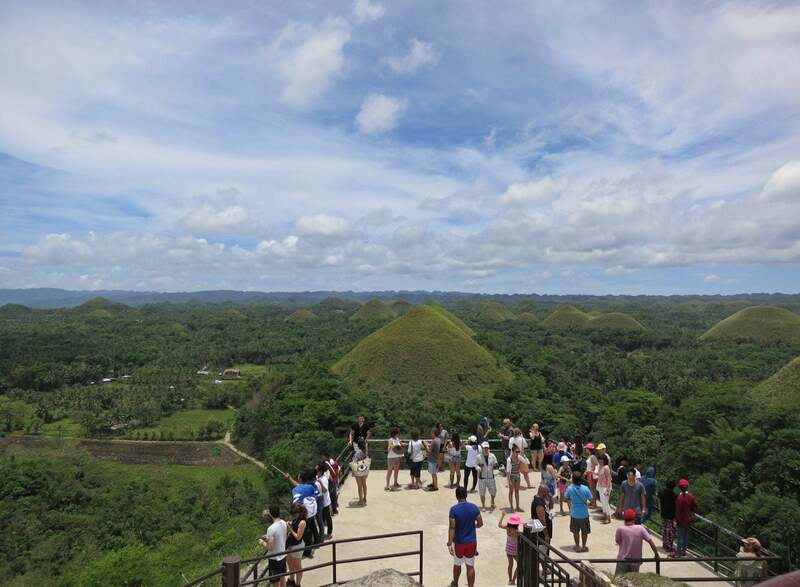 There has been developed a viewing deck – Chocolate Hills Complex – near Carmen, where visitors from the summit of one of the hills can enjoy the unusual landscape and learn about the geological history. 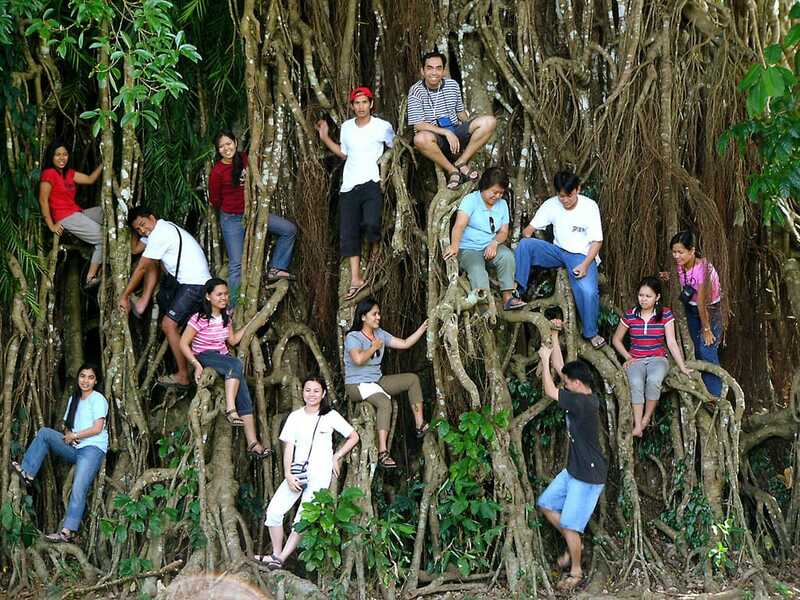 Another viewing platform is on the top of Sagbayan Hill. 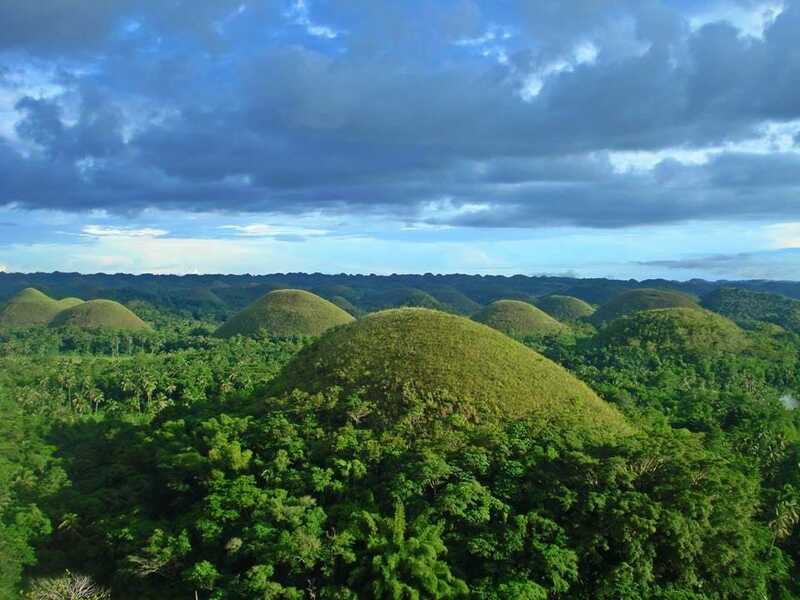 Jean-Noël SALOMON, A Mysterious Karst: the “Chocolate Hills” of Bohol (Philippines), Acta Carsologica, Vol 40, No 3 (2011), accessed in 21st November 2018. This book offers the latest information on the geomorphology of selected “classic” sites from around the world. It also shows a variety of landscapes as molded by different processes over different timescales, ranging from millions of years to just a few days.